Reading begins at 7:00 p.m. and is free and open to the public. Nancy Simpson is one of the practicing poets who lives among us. She is the author of three collections of poetry:Across Water, Night Student, and a new book, Living Above the Frost line - Selected and New Poems (Carolina Wren Press, 2010). Nancy earned an M.F.A. in Writing from Warren Wilson College and is Resident Writer at John C. Campbell Folk School. She is a longtime member of NCWN and cofounder of NCWN West. 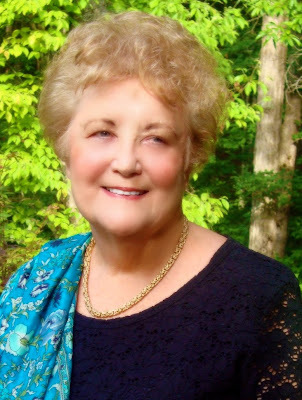 She co-edited Lights in the Mountains and edited Echoes Across the Blue Ridge. Nancy Simpson’s poems have been published in The Georgia Review, Prairie Schooner, and in anthologies such as 100 Years of N.C. Poetry, The Poets Guide to the Birds, and Southern Poetry Review’s 50th Anniversary Anthology, Don’t Leave Hungry. Seven of her poems were reprinted in the textbook Southern Appalachian Poetry, McFarland Press.